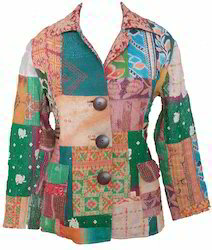 Kantha reversible quilted jacket . Can be worn both side . Give a vintage look . 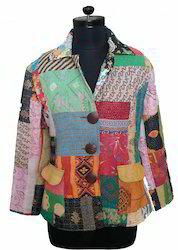 Jacket is made of Kantha Fabric . Fabric is cut into small patches and sewed together . Made of kantha patchwork fabric .